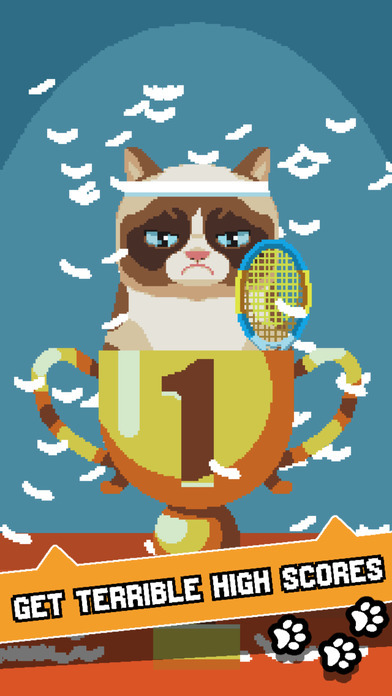 Grumpy Cat’s Worst Game Ever isn’t a single game. 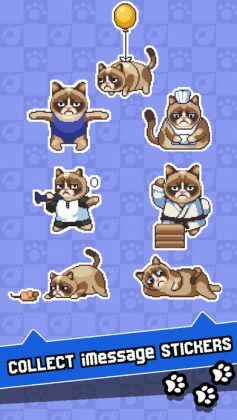 It is a collection of awful mini-games you can play to collect awful coins, which can be used to unlock awful stickers, which can be used to unlock even more awful mini-games, and the dreadful cycle repeats. 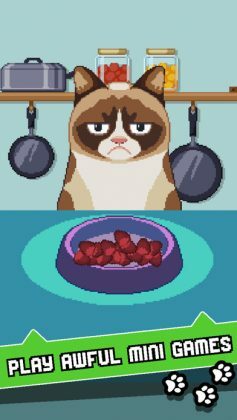 Unlike the majority of Mini-Game based games, Grumpy Cat’s Worst Game Ever combines all the mini-games together into one mad rush that speeds up every few games or so. 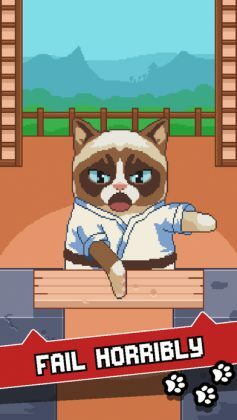 Each time you hit the play button you are given a total of 3 lives you will lose almost instantly playing boring low-quality mini-games. 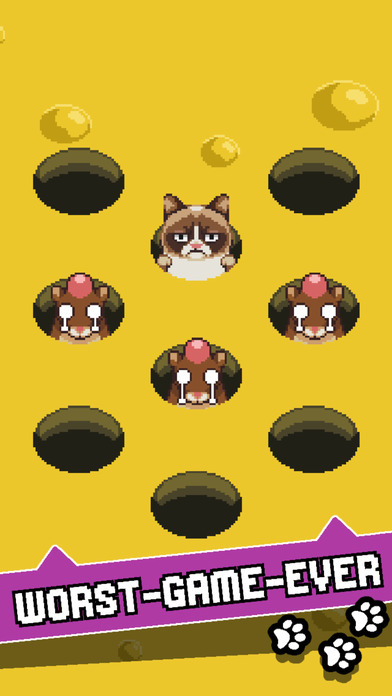 The only good aspect of this entire game are the sarcastic memes that appear every time you GAME OVER. 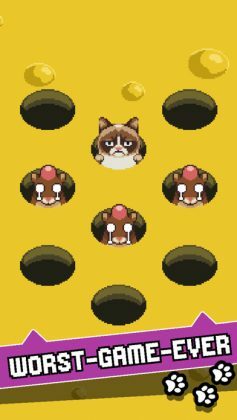 They are good because they make you sad. If you love pixel graphics, grumpy cats, and mini-games, don’t download this game, that way you can stay sad, Forever! 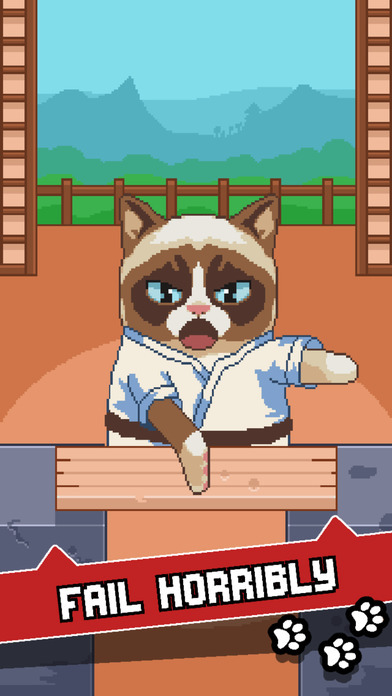 Grumpy Cat’s Worst Game Ever is a surprisingly fun little game we highly recommend to fans of the sarcastic little guy. 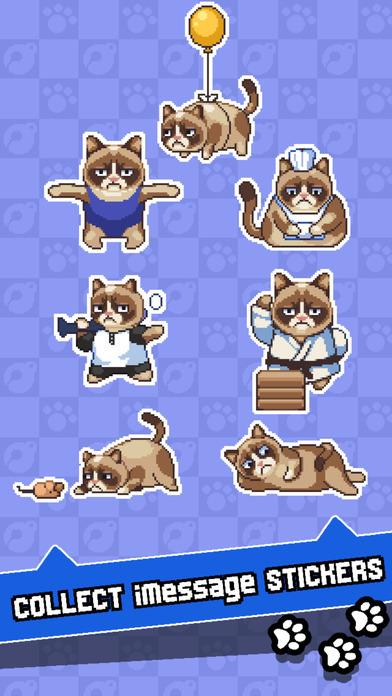 PLAY THIS GAME BELOW IF YOUR CAT LOVERS , YOU WILL NEVER BE DISAPPOINTED FOR THE MARIO KIND GAME. ALL APPLE LOVERS THIS GAME YOU SHOUDN’T MISS.